A UTEP professor’s momentous year will close with a monumental honor. Jorge A. Lopez, Ph.D., the Schumaker Professor in The University of Texas at El Paso’s Department of Physics, has been named a recipient of the lifetime achievement in mentoring award as part of the 2018 Nature Awards for Mentoring in Science. The honor — given by Nature, the world’s leading multidisciplinary science journal — was formally presented Tuesday, Dec. 18, 2018, during a ceremony on the UTEP campus. Sir Philip Campbell, editor-in-chief of Springer Nature, which publishes Nature and other science publications, lauded Lopez, one of two recipients of this year’s lifetime achievement honors announced by the publication. They are joined by two mid-career award recipients. Lopez said he is elated to be named a recipient of the award. He maintains that any recognition of his efforts is a tribute to the work of the students with whom he has been associated. Nature established the mentor awards in 2005 to recognize the vital importance of mentorship in the research process throughout the world. The awards for outstanding scientific mentorship focus on a specific country or region each year. In 2018, the publication focused on mentors from the South of the United States. For Lopez, the announcement from Nature caps a year in which he received another significant honor. Lopez entered the 2018-19 academic year as a recipient of the Presidential Award for Excellence in Science, Mathematics and Engineering Mentoring (PAESMEM), the highest national mentoring award bestowed by the White House. Lopez received the prize along with 38 other winners during a ceremony at the Smithsonian National Portrait Gallery in Washington, D.C., this summer. The awards, issued by the White House Office of Science and Technology Policy, with the National Science Foundation, recognize outstanding efforts of mentors who encourage the next generation of innovators and help develop a science and engineering workforce that reflects America’s diverse talent. 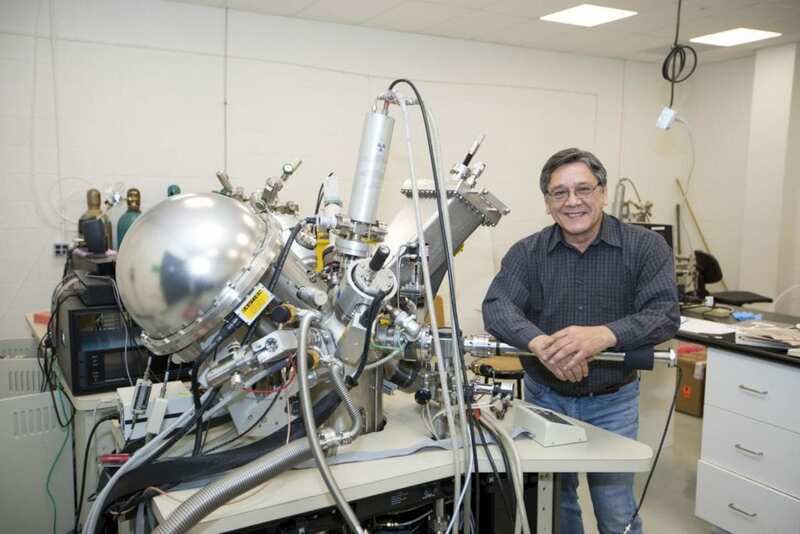 Lopez arrived at UTEP in 1990 after earning a Ph.D. in nuclear physics at Texas A&M University, spending four years as a postdoctoral researcher in Copenhagen, Denmark, and Berkeley, California, and a one-year stint at Cal Poly San Luis Obispo. The Juárez, Mexico, native — and UTEP graduate (B.S. 1977, M.S. 1979) — returned to El Paso to be closer to family.